We want to wrap up this series on 3 Benefits of Silent Auctions. If you have not read the first post regarding "Share of Wallet" or the 2nd Post about "Attention Span", then click over and read those as well. Silent Auctions allow you to connect with newcomers at your event. With newcomers we tend to have one good shot to connect with them, capture their info, and nurture them into future donors. Silent auctions are a great way to do that. So how is that? Let us explain. We love it when our committed donors invite a bunch of their friends to attend our event, don't we? They purchase a table and then fill it new potential donors. However, you can't immediately assume that the people coming to the event are ready to write you a check during your paddle raise. Why are they there? Did their company sponsor the event and give them a ticket? Did their vendor invite them to attend as a guest? Did their neighbor bring them along? All of those are possibilities and none of them mean that they are ready and willing to contribute to your cause. But, they are here and we want them to have a good time and hopefully spend some money. This is where the silent auction comes in. While these donors may not be ready to contribute out of their charity budget (see Benefit 1, share of wallet, for an explanation on this), they may be quite thrilled to spend several hundred dollars purchasing items in your silent auction. During this time, you are capturing their name, email, phone, payment information and perhaps even their address! Now you can thank them, encourage them to subscribe to your organization's blog, friend you on Facebook, solicit to them in your end of the year campaign, and invite to a future event (where they may in fact contribute directly). Had you not had a Silent auction, you reduce the chances that these new "guests" (friend of a friend) would connect with you. Its not a zero percent chance. Perhaps they are tugged by your presentation and video. But if they are not, you have missed your shot to reach them. As we like to say..
you only get one fastball. Don't miss it! What does that mean? Its a baseball analogy. Bear with us. 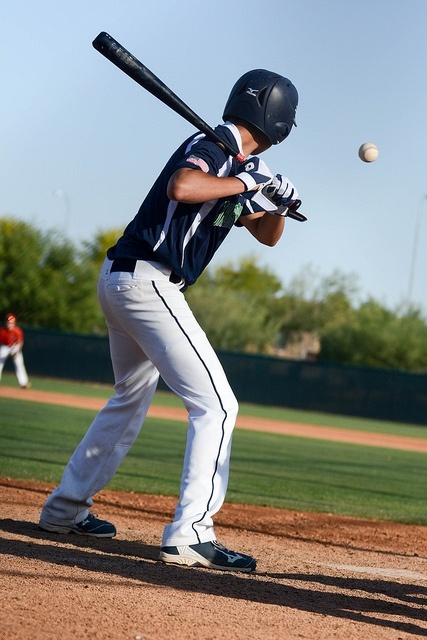 The fastball is the most common pitch a baseball player will see when they are young. As they mature in the sport, the pitching improves and the off-speed pitches become more common. Older baseball players soon realize they will probably only see one good fastball in an at-bat, and their coaches will often tell them, "don't miss it." Many things in life, like baseball, offer you those "one-shot" opportunities. In many cases, fundraising events are no different. I know, what a stretch right? Going from baseball to fundraisers? Well, its baseball season now and we love to connect the world's greatest sports to our daily work! So hit that fastball out of the park with your next event by having a silent auction that will connect with new guests. Do you want to get more details on the three benefits of silent auctions? Consider downloading our eBook on "3 Benefits of Silent Auctions" today.